The American tax system works by voluntary compliance. This means that you are responsible for reporting and paying your income tax. 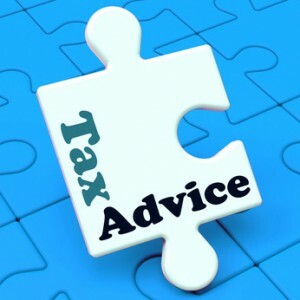 It is important that you use deductions and exemptions so you can make sure you are not overpaying on your taxes. In order to only pay the amount your legally owe it is important that you are familiar with the eight terms that we are about to discuss. Adjusted Gross Income, AGI, is your total income modified that you received from your wages, salaries, capital gains, and dividends. In order to determine your Adjusted Gross Income you are going to have to subtract your deductions from your income total such as IRA contributions, moving costs, business expense, and alimony. The Adjusted Gross Income is very important because it determines how much you can claim on your itemized deductions. Furthermore, majority of the states calculate taxation amounts based on your Adjusted Gross Income. Taxable income on the other hand is the most relevant number that is found on your tax return. This is because your taxable income determines the amount of taxes that you will have to pay the government. Furthermore, deductions, exemptions, and anything else that can lower your AGI goes to your taxable income. The results result in lower taxes and possibly a bigger refund. If you use your deductions and exemptions properly you will find you will be able to lower the amount that you owe in taxes. The two main deduction categories are itemized deductions and standard deductions. The standard deduction stays the same for everyone and is determined by the IRS. The amount is going to vary based on the filing status you choose to go with and it also adjusted regularly for inflation. Standard deductions are subtracted from your AGI. If you do not want to go with the standard deduction your alternative choice is itemized deductions. However, doing so you can expect to spend longer on your taxes yet in can result in you saving more especially if you have large deductions such as mortgage interest. So, when you compare your taxes using standard and itemized deduction if the itemized deductions are more than the standard deduction it is best to go with the itemized deductions. One you have subtracted your deductions from the AGI you will be able to lower your AGI even more by using exemptions. Exemptions work in the same manner as deductions but they symbolize a different expense. However, they differ from deductions because they are going to remain the same value despite the file status used. But, like deductions, exemption can change each year. Credits can be more effective when it comes to lowering your taxes than deductions. This is because they provide you with a dollar for dollar offset rather than deduct the amount of taxable income. For example, if you owe $1000 to the IRS but get a $600 tax credit you would owe the IRS $400. If it was a $600 deduction you would save maybe $60 because it just reduces your taxable income. Also, some of the tax credits available, such as the Earned Income Credit, is refundable. This means that if you have a credit that is larger than the amount you owe the IRS they will send you a refund check. The filing status is what determined your tax bracket. You can file as: single, head of household, married filing jointly, married filing separately or qualifying widow(er) with dependent child. When selecting your status you must go with the one that is applicable to you. Sometimes there may be more than one option. For example, married couples have two options yet in most cases it is better for married couples to file jointly. Withholding is when you pay taxes directly to the IRS as your income is earned. Your employer would set up your paycheck so a certain amount of tax is withheld every period. This eliminates you having to make the payments yourself. If you do not make the payments the IRS will penalize you when you file your return since they like to use the pay-as-you-go method. If you over pay on your withholding taxes you will get a refund back at the end of the year. Some people find it tempting to overpay so they can get a large refund at the end of the year but this is not always wise. All you are doing is giving the IRS an interest free loan. Here is a calculator you can use to see how much you should have withheld. The best thing to do is to put the money aside in an account and earn interest on it. Then, at the end of the year you could get the rush of having a large amount of money that has had interest added on to it. The cost of education is always rising. However, if you are someone who wants to grow your knowledge base you will be happy to know that education tax deductions and credits can help you with the costs of your education. One of the tax credits is the American Opportunity Credit and another is the Lifetime Learning Credit. These credits allow you to reduce your tax dollars, dollar for dollar when you claim educational expenses on your federal tax refund. This credit allows you to reduce your taxes up to a maximum of $2,500 per student for the educational expenses endured for the first four years. However, students have to attend at least part time and not have been convicted of a felony drug crime. Various things qualify for this tax credit such as books, equipment, supplies, tuition, and other school related fees. In the event that your taxes are less than $2,500, the refund cut off amount is $1,000. However, those who make more than $80,000 or couples who make more than $160,000 will receive a low credit amount. The phase out limit for the credit is $90,000 in income or $180,000 for couples. You do not have to be actively pursuing a degree in order to claim this credit. This credit is for anyone who is taking a course to further his or her education. It covers required tuition, equipment, and books. It allows you to claim a maximum amount of $2,000 on each tax return however; if the amount granted is more than your tax bill, you will not receive a credit in the form of a refund. Additionally, the phase out limit is $63,000 or $127,000 for couples. Those who make more than $53,000 or couples who make more than $107,000 will receive a lower credit amount. Tuition and fees deduction, student loan interest, work related education, scholarships and fellowships can allow you to ease some of your educational financial strains too. If you are unable to claim the Lifetime Learning Credit because of the phase out limit, you can claim the Tuition and Fees Deduction of up to $4,000. This is true even for taxpayers who do not itemize their tax returns. As long as you do not make more than $80,000 or $160,000 for couples you are eligible. However, you are unable to claim both a credit and a deduction simultaneously. Even if you do not itemize your deductions, you can deduct your student loan interest on your taxes. This deduction does not phase out until $2,500 per tax return. However, you must not exceed $60,000 in income or $125,000 if you are married. Furthermore, if you have cash in a US savings bonds to pay for your education the interest is tax-free as long as the cash is used for your education. If you are going back to school due to your job, you may be eligible to claim this itemized tax deduction. However, you have to prove that the education was to maintain or improve your work skills or a requirement from your employer. However, this deduction is not for those who have to do it to land a new career. If you receive a scholarship or a stipend for a fellowship, it is tax-free if you use the funds for tuition, supplies, or other school related expenses. You do have to be a degree candidate though.